« Care about the Future of Radio? Donate a dollar. 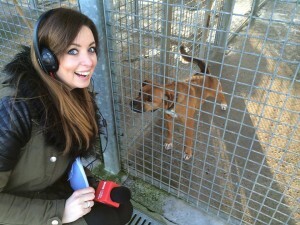 Llinos Lee reports from Llys Nini RSPCA centre at Penllergaer for Clueless. So the Christmas edition of Clueless brings to an end a busy 2014 for 2ZY. The BBC Radio Wales game show was one of our biggest commissions of the year, with five two-hour shows on summer Saturday afternoons, an August BH Special and another on 29 December. Caryl Parry Jones and Alex Winters solve clues to locations across Wales in order to win the game. We’ve also worked with Wynne Evans and Llinos Lee on the special editions. 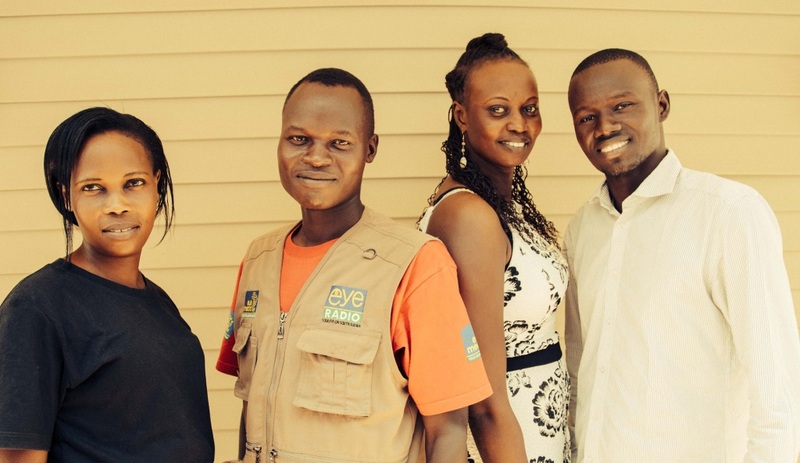 My work is supporting the local owners of Eye Radio, a full-service commercial radio station in the capital, Juba. I work with the programme editors on developing the output and building the audience. Much of this work is delivered on station, and I now make regular 2-3 week trips to Juba, and undertake follow-up work from 2ZY in-between. This fascinating work continues through 2015. The Sundown team from Eye Radio in Juba. Until September, I continued to spend two days a week at Hindley Young Offenders Institute in Wigan, working for the Prison Radio Association on HYPE, its weekly show for young people. In some of the most rewarding work I’ve ever undertaken, I worked with 15-18 year old lads on HYPE, and other music shows. The re-rolling of Hindley to become a men’s jail means the end of this project for now. I do hope the young men I worked with go on to have happy and fulfilling post-prison lives, and that this may not be the last time they appear on the radio. The PRA also asked me to lead a project in various PIPES units – psychologically informed planned environments – for prisoners with special needs around the country. After the Story of Trock in 2013, I was asked to make two further documentaries for the acclaimed Radio 1 Stories strand. Manchester-based Savvy Productions sub-contracted me to work with Shona Summers on My First Vote, exploring 16/17 year olds’ role in the Scottish referendum vote. And the PRA’s independent production arm booked me to make Staying Out, Paris Lees’s compelling personal journey into issues around youth re-offending. 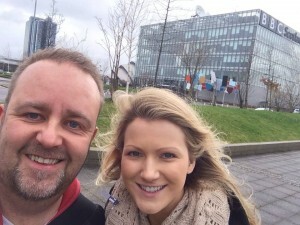 With Shona Summers, working in Glasgow on My First Vote for BBC Radio 1. Clips of that, the Trock show, 2013’s podcasts for the Manchester International Festival formed my entry for the Radio Production Awards Producer category – for which I was very grateful to receive a nomination. The Summer saw two S&P press trips for Gaydio – working with the breakfast team in Vienna, and a solo trip to Stockholm – and I’ve continued to chair that station’s board of Directors, supporting the brilliant staff team that continues to take Gaydio to new levels. Other consultancy included some post-RAJAR analysis and follow-up programme review for one station – and media training for a major Manchester charity. The end of the year saw an uncertain future for the Radio Academy, so soon after an amazing Radio Festival. It was also great to speak at Next Radio in the auspicious surroundings of the Royal Institution about my work at the PRA and Internews. One truism in running a radio indie is that you can’t sit around waiting for juicy BBC commissions to come to you. You pitch, you wait and sometimes you get lucky. In the meantime, you hustle. In 2014, 2ZY worked with its highest number of annual clients to date. So what else is on the slate for 2015? The adventure in Juba continues. There’s a new music show in development for an emerging station; and a passion-project documentary, recording in Albuquerque, on the impact of Breaking Bad and Better Call Saul on that city. In the summer, 2ZY hopes to be involved in a major project to report and reflect the brilliance of the Manchester International Festival ’15. 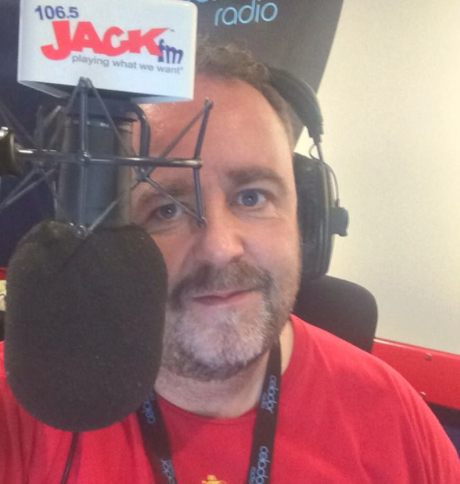 And 29 years to the week after first taking the mic in professional radio, I’m starting the year with some cover on one of my favourite radio formats, Jack FM in beautiful Bristol. This entry was posted on Monday, December 29th, 2014 at 8:32 pm	and is filed under Uncategorized. You can follow any responses to this entry through the RSS 2.0 feed. Responses are currently closed, but you can trackback from your own site.